Welcome to SCARS™ the only Worldwide Nonprofit Nongovernmental Incorporated Cybercrime Victims’ Assistance Support & Advocacy Organization focused on the detection, deterrence, and eventual elimination on global online scams in all its forms, and the assistance and education of scam victims in their recovery and avoidance of future victimization. We need a new approach that has proven itself over and over in other areas. We need organization, we need standards, we need to stand up in real and meaningful ways. We need a new voice against online fraud. This is the new voice that politicians will listen to, that law enforcement will work with, that victims can take comfort in, and that will change the way we educate and confront scammers to avoid online fraud. We are professionals! 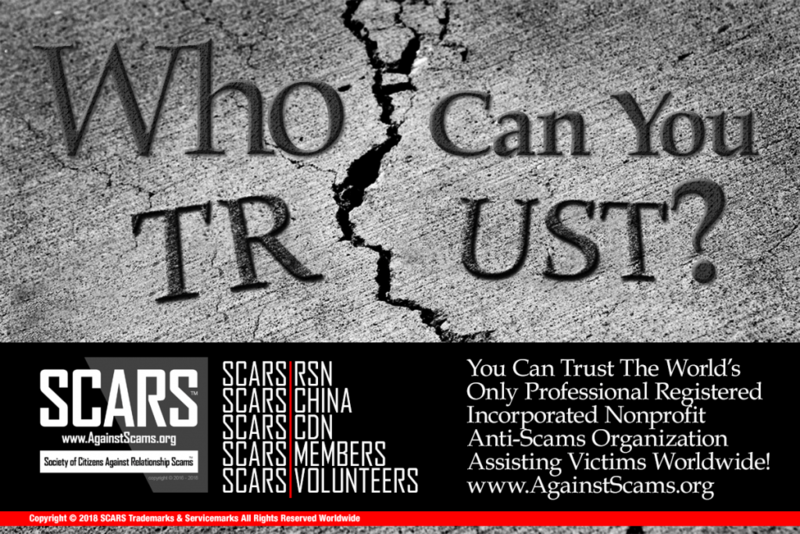 The Society of Citizens Against Relationship Scams Focuses On You! The focus of the Society is online scams and cybercrime in its various forms, primarily on Relationship Scams (also known as Romance, Dating, Love, or Sweetheart Scams), but also on related scam attacks directed at individuals in their personal life and at business including Phishing and BEC Scams. Fraudsters target adults, the elderly, and even more and more our children. They target all races and genders, and employ racism and gender bias to create maximum vulnerability. Scammers are part of large scale criminal enterprises and even fund and support terrorist organizations such as ISIS, Al Qaeda, Boko Haram, and others. Some have workforces numbered in the thousands. Our estimates are that there are over one hundred thousand professional scammers operating worldwide. The Society’s primary effort is directed at providing professional assistance and support for victims. But through our understanding and analysis, we are also the primary advocacy organization to work with governments around the world and change the legal landscape enabling ever greater enforcement. Our knowledge acquisition and dissemination publishing activities also help everyone avoid scams and employ countermeasures. We have also built the worlds only real independent “chain of custody” cybercrime data network for broad reporting of cybercriminals. Unfortunately, scams are treated by many as a laughable joke yet they destroy lives (actually driving good people to suicide) and compromising businesses every minute of every day. This is why the Society was formed. We are here to create and accelerate change! 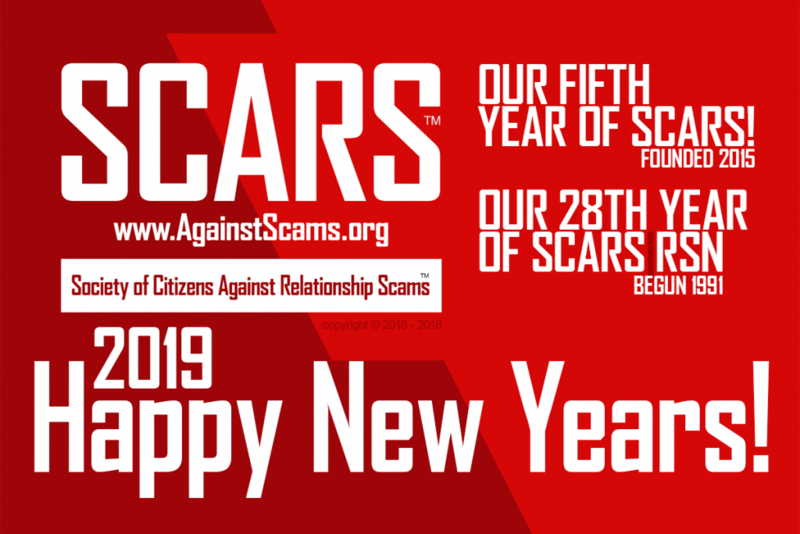 Please Note: In December 2018 we changed the name of our organization from the Society of Citizens Against Romance Scams TO the Society of Citizens Against Relationship Scams.